Madhavi Pundit is an Economist in the Economics Research and Regional Cooperation Department, Asian Development Bank, Manila. Prior to this, she was Assistant Professor at the National Institute of Public Finance and Policy, New Delhi, India. 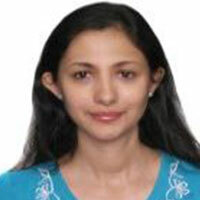 Madhavi completed her M.A and Ph.D. in Economics from Boston College, USA. Her research is in the areas of general macroeconomics, international finance and open economy macroeconomics with particular focus on emerging economy policy-relevant issues. Her recent work includes analyses for emerging economies of their growth potential, financial development, financial stability and capital flows, openness and business cycle volatility. Another area of work is developing frameworks for monitoring macroeconomic activity in countries with limited data availability.